Here in Foreword’s editorial office, every so often a book comes along with a title that raises our eyebrows. 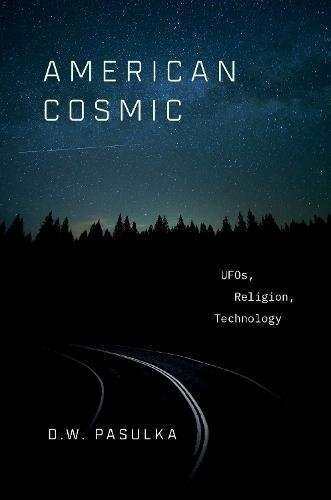 Such was the case with Oxford University Press’s American Cosmic: UFOs, Religion, and Technology. Intrigued but skeptical (forgive us, Oxford), we assigned it to one of our more “out there” reviewers, Eric Patterson, and waited impatiently to see what he’d say. Well, as you’ll see in his review for the March/April issue of Foreword Reviews, he loved it, and soon after pitched the idea of doing a Face Off interview with D.W. Pasulka, the book’s author, a professor of religious studies at the University of North Carolina Wilmington, and chair of the Department of Philosophy and Religion. File this conversation between Eric and D.W. in the truth-is-stranger-than-fiction file, and then go buy the book—all the while knowing that, sooner or later, we’re going to detect some intelligent life on another planet. The odds are too great. What got you interested in studying Ufology as religion? In the field of Religious Studies, scholars study traditional religions like Judaism, Buddhism, or Christianity, and they study New Religious Movements, that is, religions that have emerged within the past one hundred years, and even within the last fifteen years. There are UFO religions, and new forms of religion, like Jediism, which is a religion inspired by the Star Wars films. There are UFO religions like Raelism, and the religion called the Nation of Islam was inspired by what appears to be a UFO encounter (referred to as the mothership). So, the topic of UFOs is something that scholars of religion study. I was not actually interested in studying this topic until I finished a book on the Catholic doctrine of purgatory. In that book I examined reports from Catholic history of sightings of souls from purgatory, and I also found reports of aerial phenomena, sky beings, and things like that. I was puzzled by these reports. A friend suggested that they looked like UFO reports. I actually laughed at this suggestion, but then, soon after, I attended a conference for people who are called “experiencers,” people who believe they have seen UFOs and some who believe they are in contact with extraterrestrials. The reports were very similar to the reports from the Catholic record, so I started to look into them. That is how it began. I should also state that I was always interested in ways in which technology influenced religion. The Protestant Reformation is a good example of this. The printing press made the Bible and other theological information readily available, and this had a profound impact on religion and how it was practiced. In my current research, I use UFO belief as an example of how digital and media technologies inform a new type of religiosity. Talk about the parallel of beliefs in angels and demons of earlier times, and the belief in UFOs today. Is the mindset the same in believers of both sets? I actually do not think the mindset is the same, or, another way to put this is that I don’t think I can access the mindset of 17th century believers. What I can do is pay attention to how they described their experiences, and how these descriptions were taken up and interpreted, and used in various ways. For example, the 17th century Spanish nun Sr. Maria of Agreda believed she was being transported on the wings of angels to a place in North America (what Spain called the New World) near New Mexico. She wrote about her experience. Her experience, written and retold, went on to help the Spanish Crown fund Spain’s colonial efforts in that part of the world. Today, the UFO narrative is similarly spun, not necessarily for colonizing purposes, but for other, more obvious purposes, such as entertainment. Perhaps, and this is a big perhaps, it is also being used in other ways, but in my book I explain how it is morphed into products that are far removed from their original telling and interpretations. In your study, you consulted with highly intelligent scientists and entrepreneurs. One would not normally expect people like this to believe in UFOs. How do you reconcile this? I was very intrigued by the group of researchers I named “the meta-researchers,” and in some cases, “the invisibles.” As I spoke with experiencers, I noticed that scientists were interested in their experiences and asked very specific questions of them. I started to ask the scientists why they were interested, and their answers surprised me. The scientists believed that the experiencers witnessed real phenomena, and they wanted to “mine” the information for their own technological inventions. Some of the scientists were people who worked at jobs that required secrecy. They could not actually talk openly about what they were doing. I called these people “the invisibles.” Truly, this was the most surprising of my findings, at least to me. There were so many people who worked behind the scenes, who did not have a digital footprint, and who created technologies that impacted my life, and the lives of millions of people. They believed in the phenomena. 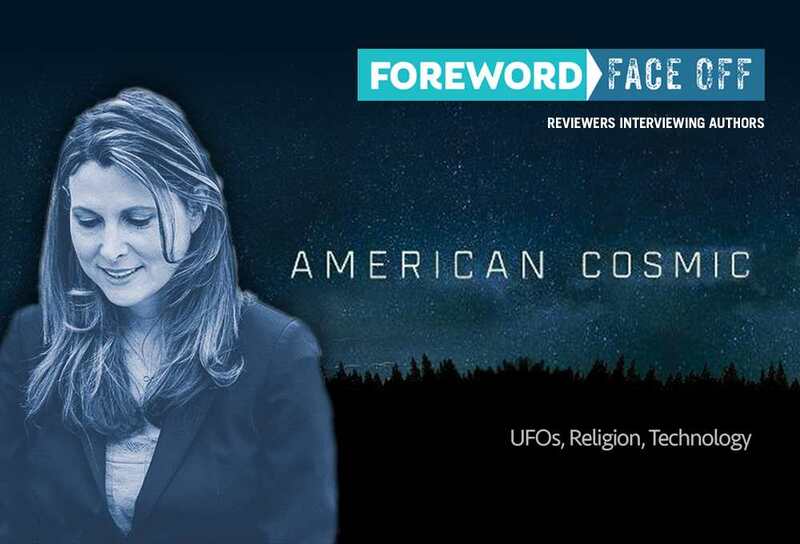 You wrote about the blurring of what is real with what is not when it comes to the experiences of those who believe in UFOs. Does a person actually have to believe in the real existence of alien visitation and UFOs in order have Ufology positively impact their lives? This example reveals that my students saw this encounter as a UFO encounter, and not, as would have happened one hundred years ago, as an angel encounter. I maintain, in the book, that the objective reality of extraterrestrials and UFOs does not actually matter with respect to “belief” in them. In this sense, it is like religion. Whether or not a particular saint actually levitated, or walked on water, doesn’t matter, as millions of people act and perform devotions as if these events happened. That said, please understand that I am not being “reductionist,” that is, the saints may very well have levitated, but that is not the question I am trying to answer. UFOs may exist, but I don’t have proof they do, or that they do not. I am studying how they impact our practices, our entertainment, and our dispositions. Where does your research go from here in regards to this topic? Something that I have found interesting within all of the different religious communities I have been in contact with—Catholic, New Age, UFO, is the role that meaningful coincidences, or synchronicities, play in the personal experiences and stories of the members. It is almost as if synchronicity is the engine of religion and spirituality. When people experience synchronicity, they feel something very powerful, like an external agent is directing their lives. I want to explore this more, so this is where I go next. Are technology and media replacing traditional religious mediums, or are they supplementing them? Contemporary media and technology, like ancient and early modern forms of media and technology, change and influence human life, and religion is not exempt from this process. Therefore, media and technology influences traditional religions—we watch television sermons, light virtual candles, perform online devotions, and these have become new ways for members of traditional religions to practice. Most of what we learn about religion comes from media. Additionally, new forms of religion, like online religions, Jediism, as mentioned previously, have emerged directly from the contemporary technological environment. In my book I suggest that there is a new form of religiosity based on belief in non-human extraterrestrial intelligence This new type of religion is powerful because of a specific truth factor—that is, there is a real potential that non-human life will be found in the universe, NASA scientists often tell us this is the case, and this truth factor informs the new religiosity and gives it a very powerful impetus. This, coupled with our stories of ET, combine to form a very powerful narrative of human redemption by non-human, advanced forces, or, the opposite, a tale of potential catastrophe like we see in movies like Independence Day. How often are scholars of religions able to observe in real time the rise of new religions? It must be pretty exciting for you to study the phenomenon as is it taking place. I love the quote by Carl Jung about the flying saucer phenomena. He said, “We have here a golden opportunity of seeing how a legend is formed.” He could very well have said “of seeing how a religion is formed.” We have all the players—non-human intelligence descending from the sky, people transformed, the possibility of a new way of life and living, a cosmic transcendence, the media to deliver the message, and scholars to interpret it. Is there a system of dogmas, or a canon, or “holy” people forming in the UFO community? This is a great question. Following up on the previous question about the formation of a religion, one can identify certain religious-like aspects to the new religion. There is definitely a sacred place, which is Roswell, New Mexico, where it is alleged that several extraterrestrial space crafts crashed in 1947. There are people who, while not necessarily holy, are linked to extraterrestrials and are revered for this link. These people are experiencers like Travis Walton, whose experience was made into the movie Fire in the Sky, or Christopher Bledsoe, whose experience was featured on the Discovery Channel and many more venues. Another, more interesting development, however, are a variety of movements, one of which is called the CE-5 movement, which is human initiated contact with extraterrestrials. People across the globe are part of this movement, so in a sense, this departs from more traditional religions that have a charismatic founder, and it even departments from older UFO religions that have founders and/or one key figure at their center. I see this as a very important difference, this new movement is democratic and diffuse. The “power,” or sacred power, is with the members of the communities, not with hierarchies, and definitely not with one individual. I’ve been very moved by the testimonies of members of this community. Recently, one told me that he and his wife had an experience that was life changing. He said that, while they were in their house one evening, they both felt the desire to open their door. They did, and they both saw hundreds of sparkling crafts in the sky, spinning this way and that, dancing, really. They also experienced a feeling of love and transcendence. This sublime experience lasted for about twenty minutes. The person who told me this said that the impact was so great that they felt that they were permanently changed. The experiences are very real to the members of these communities.